Every year in the world is the World Memory Championships, whose participants demonstrate amazing abilities. They remember hundreds of words, numbers and other information. 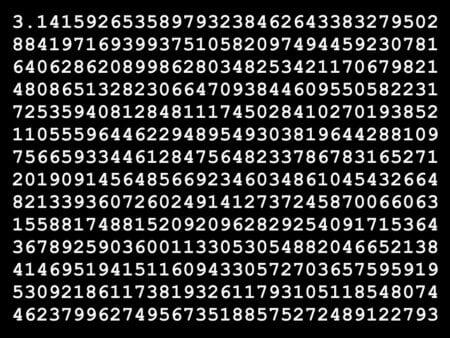 So, the number pi (π) is popular for remembering – the record holders remember several thousand digits after the decimal point. So, Japanese Hideaki Tomoyori can reproduce up to 40 thousand characters in the number of π. In order to achieve such a phenomenal result, a resident of Japan trained for several years. The current world champion in memorization is Alex Mullen, who in five minutes was able to memorize the sequence of more than 550 characters. Is a phenomenal brain necessary for phenomenal memory? Scientists from the University of Nijmegen, led by Martin Dresler decided to find out whether the brain is “super memory” in a special way, or learn to remember anyone can. They showed that by going through intensive mnemonic training for 6 weeks, you can significantly improve your memory and achieve excellent results. Such training causes changes in the brain that persist for a long time. One of the authors of the work was Boris Konrad, a member of the Dresler laboratory, who is one of the most outstanding mnemonists. In his interviews, he told that in his childhood he did not have a good memory, and he started training only in 2002, when he learned about mnemonics. During the experiment, scientists invited 23 people with super memory, who were among the top 50 people of the world in this indicator, as well as people who never trained their memory and did not try to improve it. The level of intelligence and age of participants in both groups was similar. First, the authors conducted a brain scan of a part of the participants from both groups during the rest period, during the memorization of the list of 72 words and the time they remembered the memorized one. “Super Memory” really coped with the task – in 20 minutes they remembered about 70 words on average, while people from the control group remembered only 40 words from the list and less. What it was possible to find out? It turned out that there are no significant differences in the structure of the brain of people with phenomenal memory and those who do not have superpowers. However, the “super-rememberers” had otherwise organized inter-neural contacts in the brain – they were formed during the training of memory, making the brain more functional. Then the procedure was repeated with the participation of 51 participants from the control group. After that, they were divided into three subgroups: one for six weeks each day for an mnemonic training, others trained short-term memory, practicing one of the ways to memorize lists, and still others did not practice at all. Six weeks later, and also 4 months after the end of training, a brain scan was repeated, as well as memory evaluation tests. The trainings gave their fruits: the participants from the first and second groups had improvements that were more significant for those who passed the mnemonic training – learned to link the elements from the memorized list with any events, places or objects, and then simply reproduced the created sequence. Scanning showed that the functional connections in the brains of such participants became similar to the connections in the brain of people with super memory. The changes were preserved and 4 months after the end of training. Previous PostPrevious Are You Addicted to Sugar?